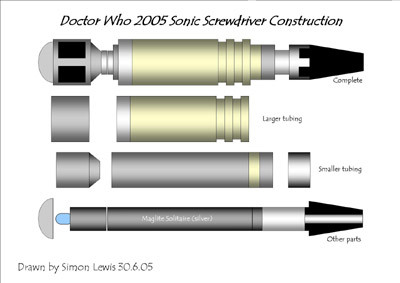 Anyway, I grabbed an image of the Doctor Who Sonic Screwdriver (the Eccleston version) from Henriks, imported it as a texture and then reshaped a rectangle to fit its outline. Then I used the follow tool to wrap that outline around a circle, made a few adjustments and put some color on it. I’m pretty happy with it! 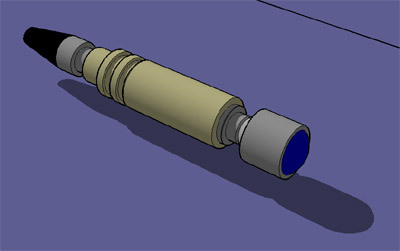 The SketchUp file is here. Now where did I put that 3D printer…..